An exquisite evening in SouthCoast wetlands on the last day of May. Steaming hot with a brilliant sunset. 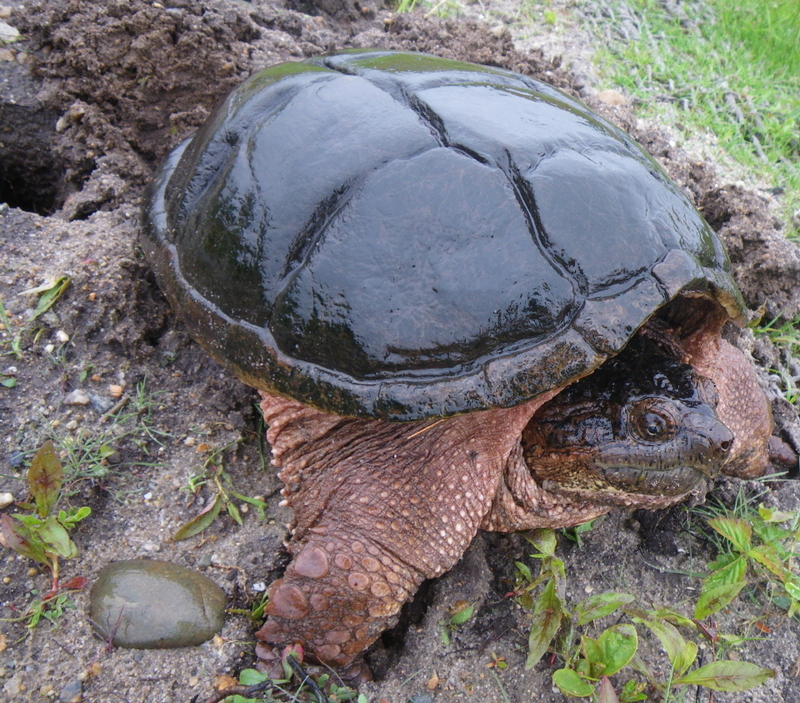 Bullfrogs bellowing, wood frogs croaking, red-wing blackbirds screeching … and dinosaur-like snappers nesting. In a calm trance state fueled by oxytocin, this beautiful gal allowed us to lie beside her within inches to photograph her chiseled profile and to document the nesting process. And, yes; I know. It’s deuce difficult to distinguish between video and still. They’re that slow and deliberate. 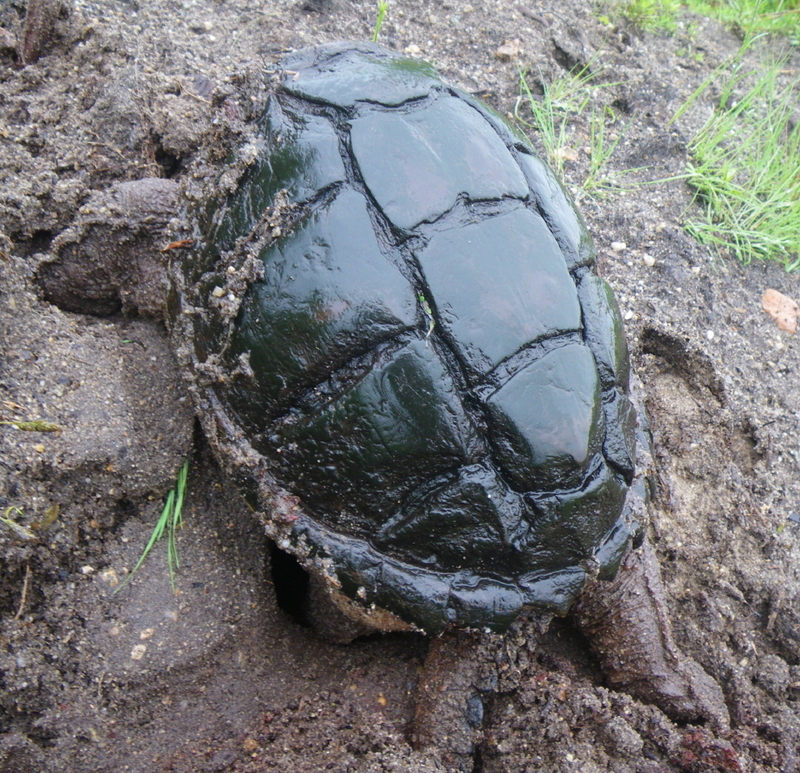 We remain in awe of the power of these living fossils. 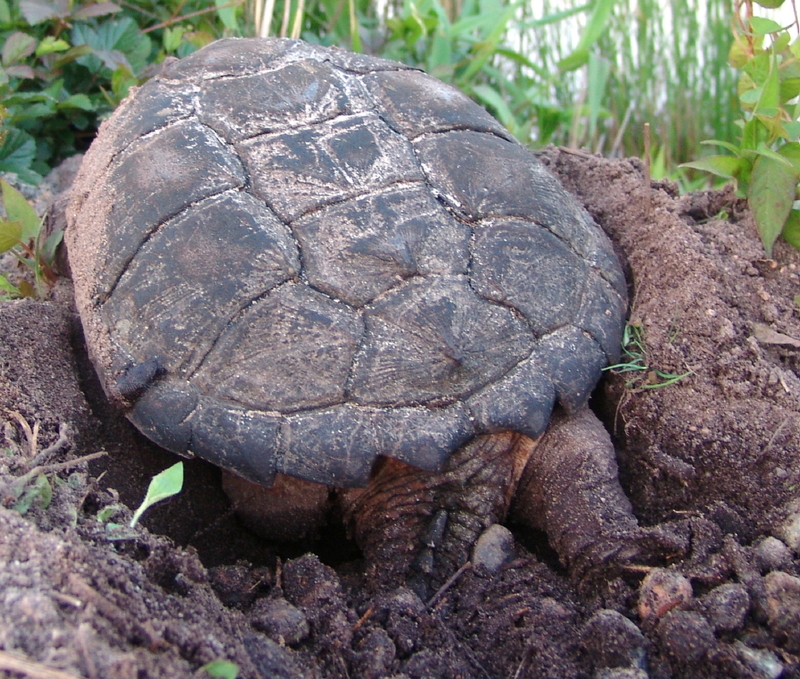 This lass dug through layers of rocky gravel to create her nest, using her tail to anchor her body. Some say a face that only a mother could love. Heck no. This lovely lass is a mother herself, and any self-respecting dinosaur would find her perfectly appealing. As the Turtle Journal team explored a sunset bathed wetlands off Sippican Harbor on the Massachusetts SouthCoast, we spotted this small painted turtle, completing her nest. 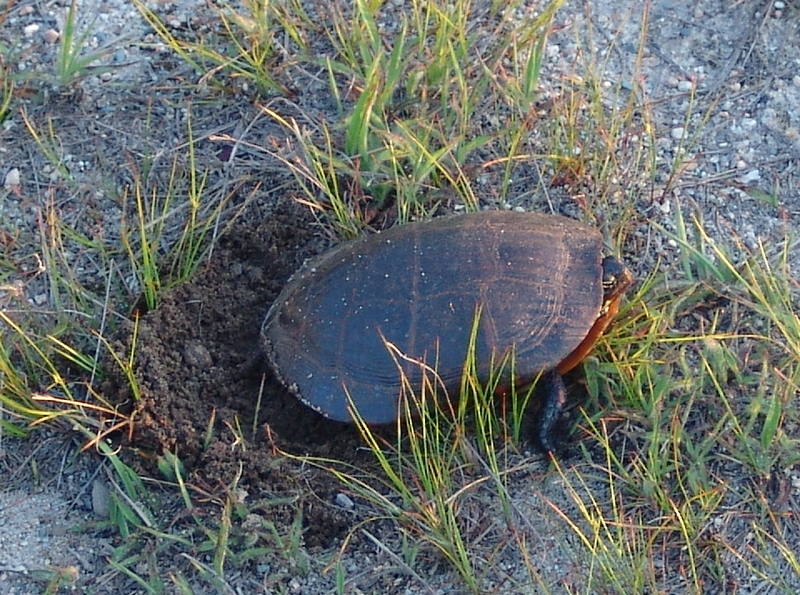 Facing directly into the setting sun, she slowly carved the egg chamber, deposited her eggs and carefully covered the nest. Except for discoloration caused by mixing moist bottom soil with dry top sand, the nest completely disappears. 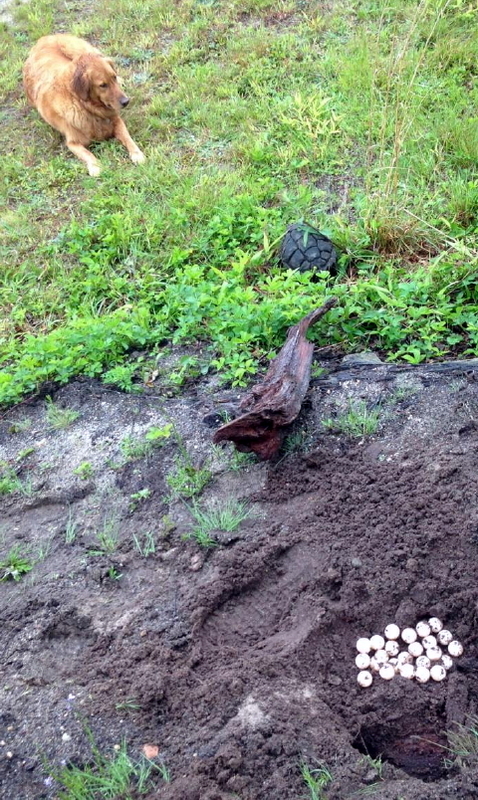 Somehow she even managed to place a piece of plastic debris over the egg chamber. 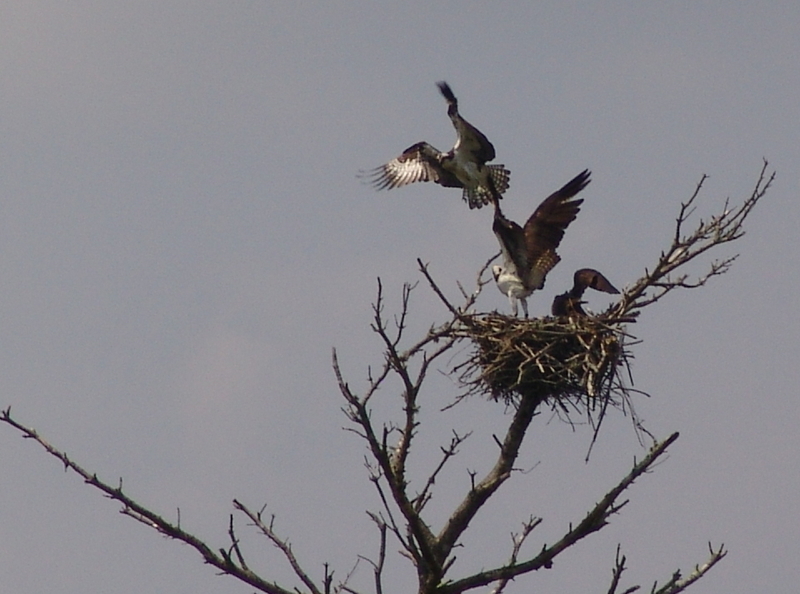 This color change, of course, fades in a short while, making the nest invisible to mere mortals. 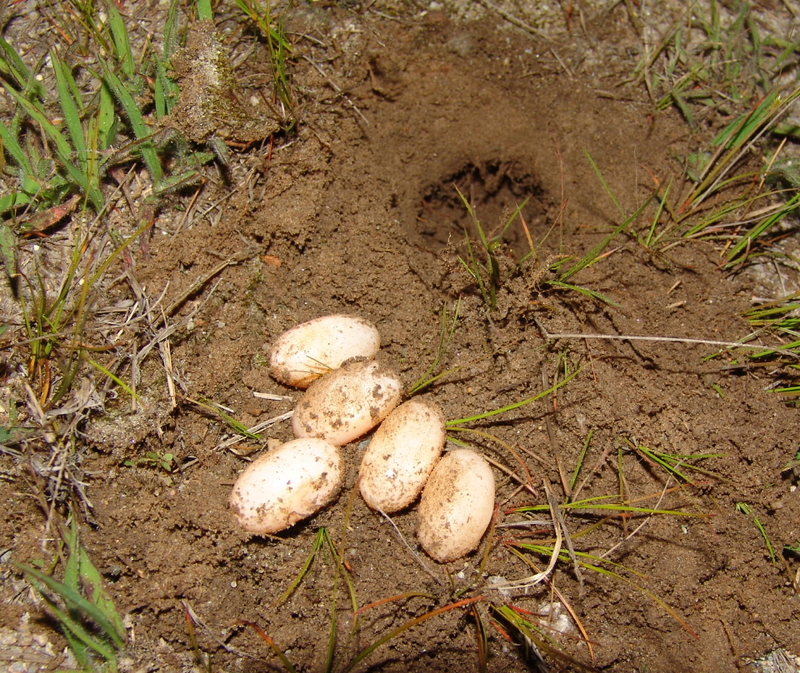 Excavating the nest, we quickly discovered the “sweet spot,” the entry hole for the egg chamber, and harvested five perfect pink eggs for protection. 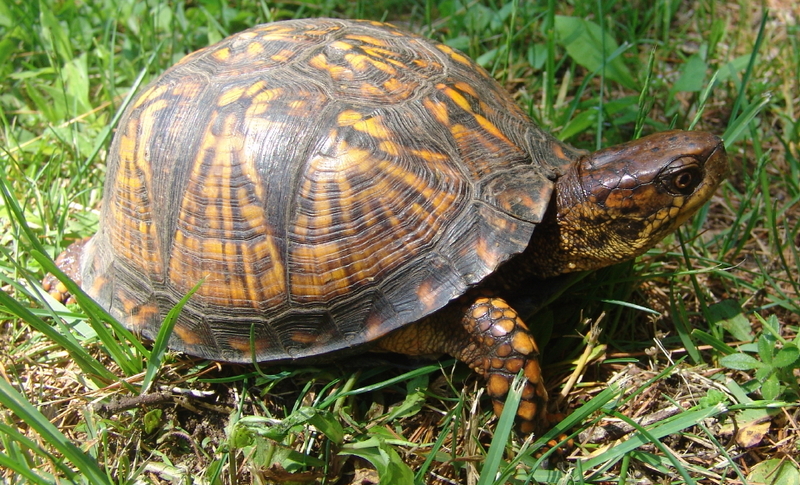 Joining snappers and painteds and spotteds, Eastern box turtles are now nesting on the Massachusetts SouthCoast. 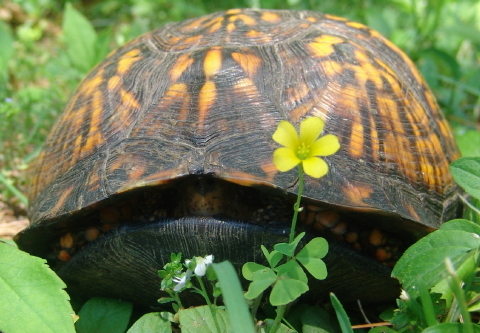 This gorgeous lady, in her peek-a-boo pose, comes from Hammetts Cove in East Marion. 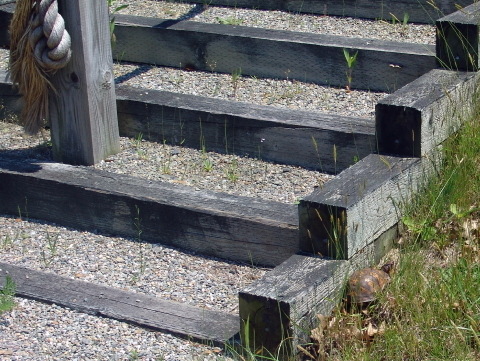 Hammetts Cove hosts a terrapin nesting site where we have usually found the first Sippican Harbor nester each year. 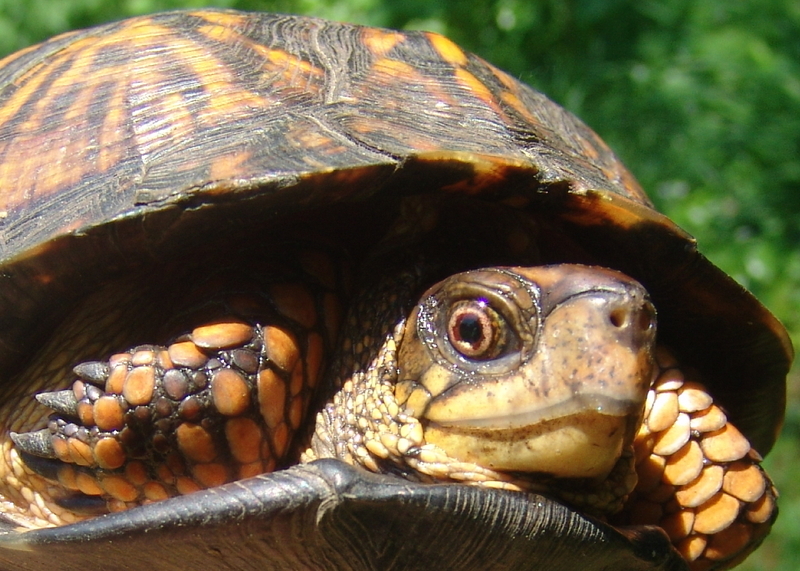 When we begin checking for terrapin nesters, we often encounter box turtles on nesting runs a day or two before the terrapins arrive. When Sue Wieber Nourse and Rufus investigated the Hammetts Cove site this morning, they discovered an ancient female box turtle crawling through the area after completing her nest. As you can see in the photograph above, despite their gaudy colors, box turtles blend perfectly into their surroundings, making them extremely difficult to detect. 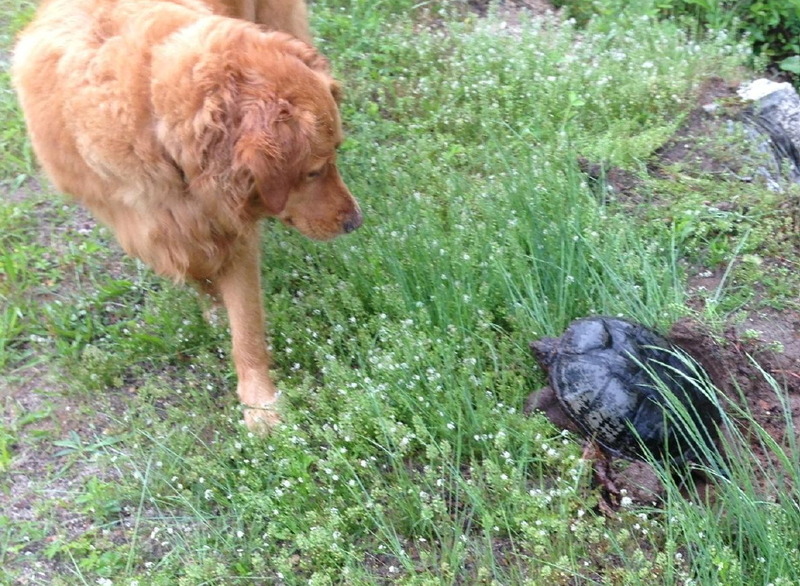 This morning proved our first encounter with this ancient female. 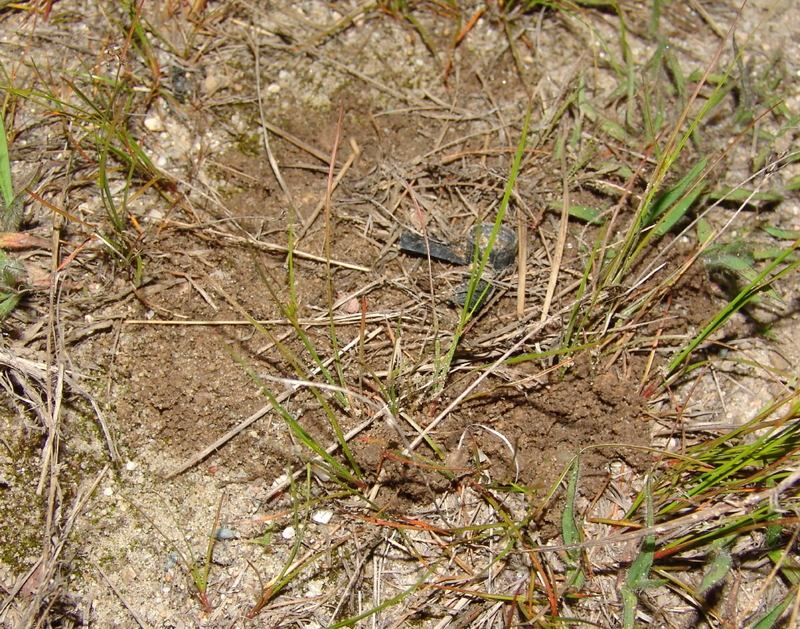 We marked her #66 and recorded morphological and scientific data to track her into the future. Female Eastern Box Turtle #66 measured 14.6 centimeters straight-line carapace length, and she weighed 566 grams after nesting. 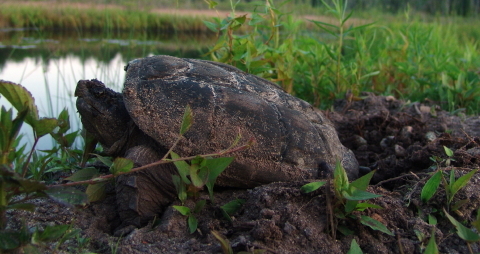 They’re big, they’re noisy, they’re demanding; so, it’s probably a good thing they’re also cuddly cute. 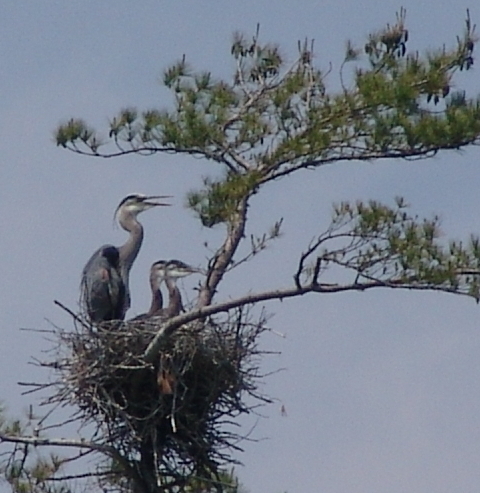 Great Blue Heron chicks in the SouthCoast Sippican rookery seem ready to fledge … not a moment too soon for their weary parents. 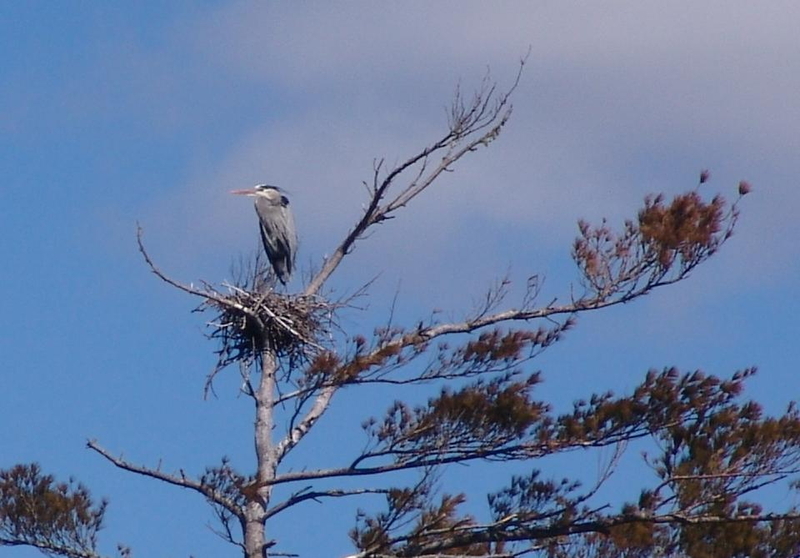 On the morning of March 24th, with the ground still topped with a layer of ice and snow, the first Great Blue Heron returned to the SouthCoast Sippican rookery, occupying one of the four existing nests on the shore of Washburn pond. 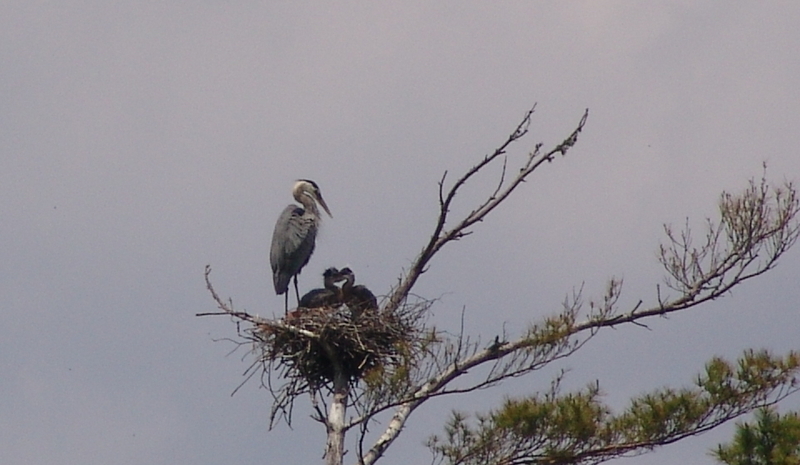 Today, two months and a few days later, that same Great Blue Heron guards two large and healthy chicks that seem on the verge of fledging. 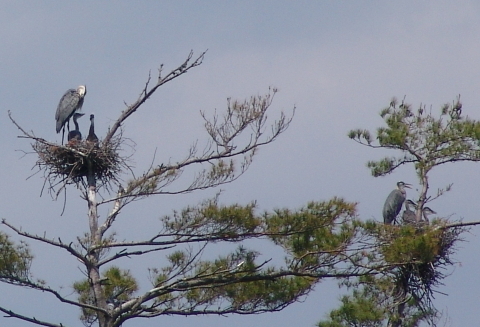 In the next tree over, another Great Blue Heron sits with another pair of huge chicks. 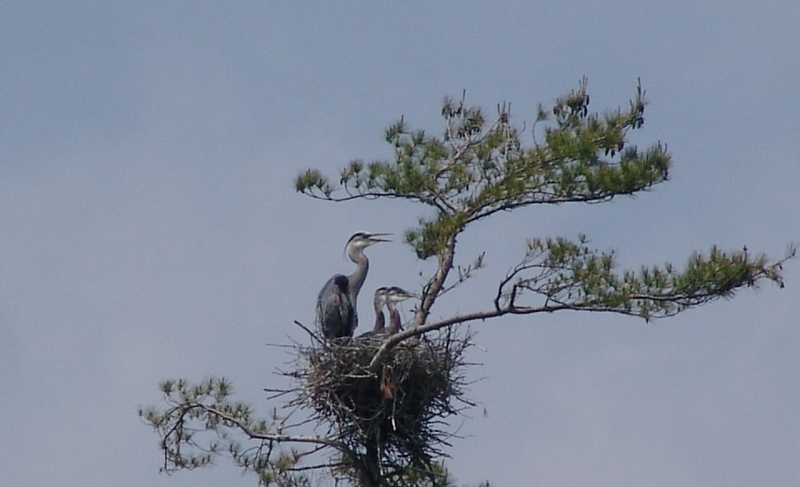 Two additional Great Blue Heron nests stand on nearby trees with chicks not yet at this stage of development. 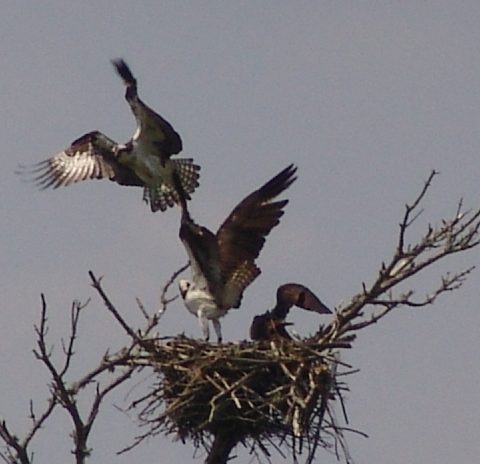 In the other direction, an osprey pair hold a nest that they took from Great Blue Herons last Spring and to which they have returned this Spring to nest. Might oaks from little acorns grow, and from tiny eggs giant snapper spring. 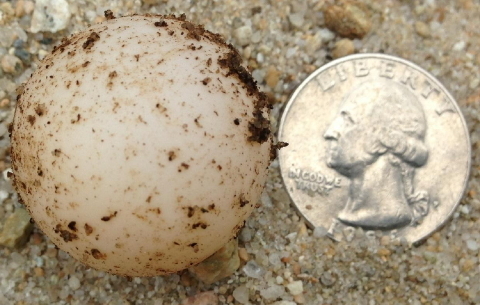 At the oozy bottom of every lake and pond in New England lies a 70 pound snapping turtle that began life decades ago as a miniature ping-pong sized egg. 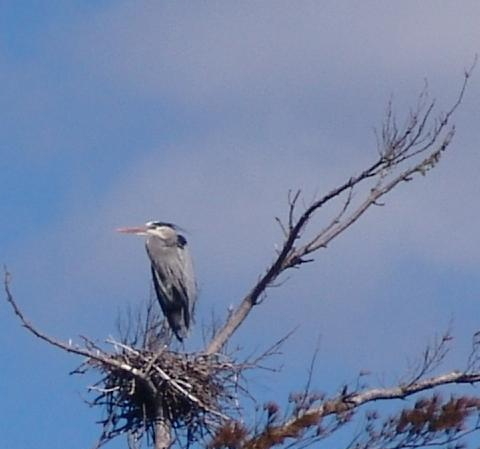 That long process began today for a new generation of snappers. Around the corner from the first snapper, Sue and Rufus discovered a youngish, ten-pound snapper that had climbed a muddy log pile to deposit her eggs. 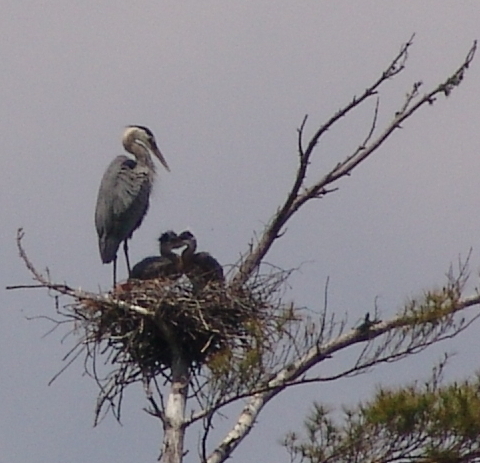 A bit bashful, this young lady took nearly two hours to complete the nesting process. 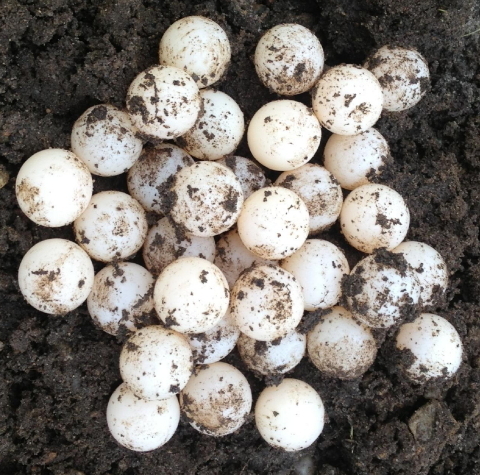 Her nest contained a total of 24 ping-pong sized eggs that were harvested for a protected nest in the turtle garden. As is her duty, Rufus kept a watchful eye on the eggs and the departing mother turtle to ensure their safety. About five hundred feet down the path, Sue and Rufus encountered a young, but slightly larger female snapper, slowly and calmly carving her nest into the muddy substrate. 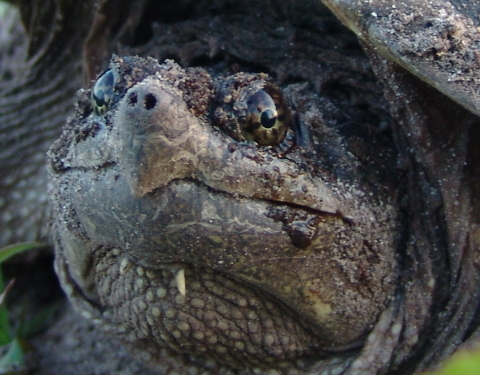 Arteries pulsing with the reptilian equivalent of oxytocin, this moment is the one time you can safely approach a snapping turtle as she labors away in a zombie-like nesting trance. 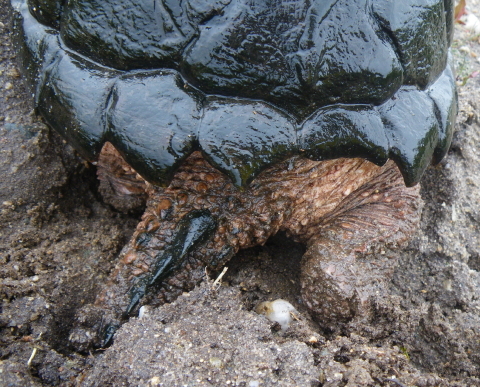 Without being able to see what she’s doing, the female snapper secures her “footing” by driving her dinosaur-like tail into the ground like a spike, as she delicately maneuvers her powerful legs, first to sculpt the egg chamber and then to lovingly tuck each fragile egg into its appropriate place in the nest. This lady deposited 34 eggs into her nest. They, too, were carefully harvested for a protected nest in the turtle garden. 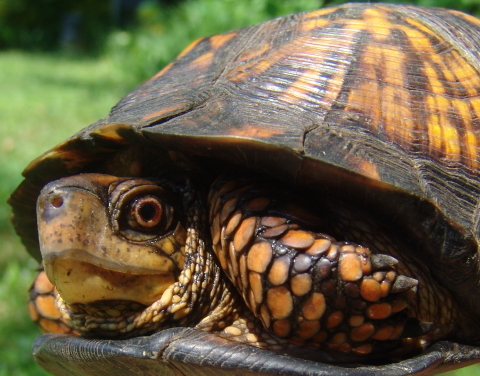 You are currently browsing the Turtle Journal blog archives for May, 2013.